I did not realize just how much, or how unstretchy they are, until now. I reknit the hat, because the cowl ate my yarn. I wanted a set, a true set. One that was not just the same color, but the same pattern. 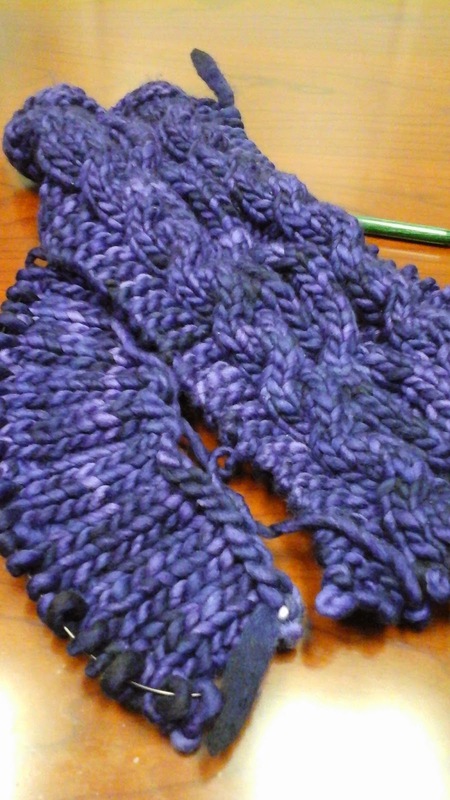 If I had stuck with the cables, I would have had to buy yet another skein of yarn, and that is just not in the budget right now. You can see the leftovers, and this hat is slightly smaller in circumference but taller and definitely stretchier. The cowl is now going to be in a P2, K1 rib, which fortunately does not curl much, but still has some stretch. 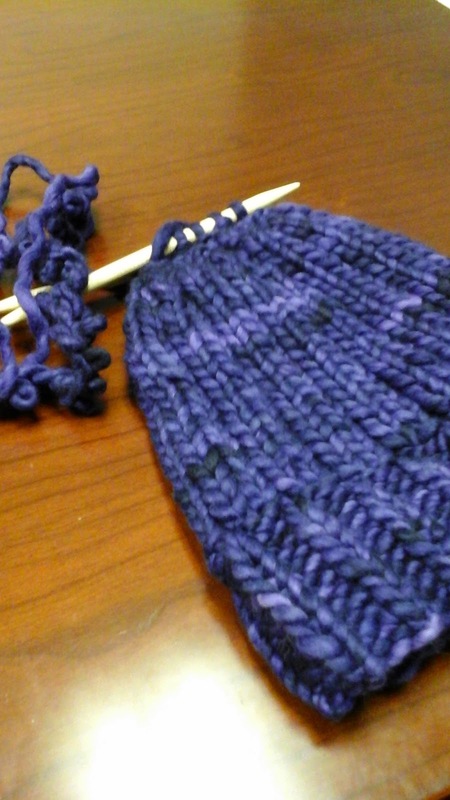 It matches the hat, and the mittens will also match, once I get those made as well. I am really trying to watch the yarn budget these days, as I am attempting some movement in work circumstances. I will post links to patterns and write up what I design. Those of you who know me, know I have always worked outside the home, while my hubby has stayed at home with our children. This is what we are trying to change. It is a huge change, and one the I look forward to making. because of this, I am trying to be very intentional about purchases and using what we have. My nesting instinct is growing, and I really want to be home. I have a rather large stash, mostly bought for me by my hubby. I have yet to use anything near what I have, because I cannot see it - it is all in boxes. That too needs to change. And it will given time. What plans do you have for this year?